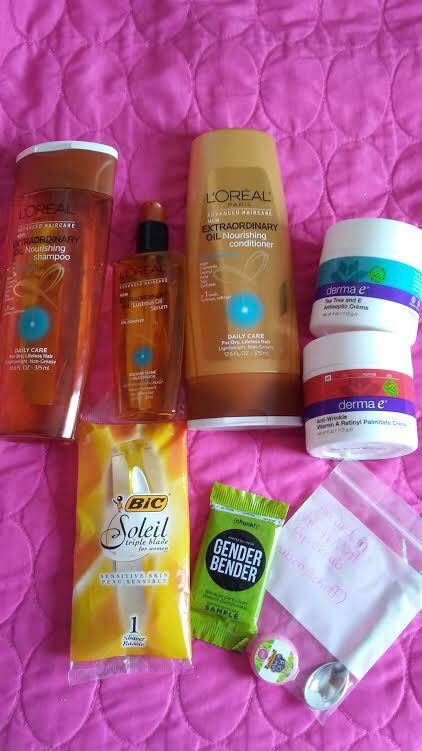 FTC: I was given these complimentary sample to test but all of my opinions are my own!! A few weeks ago, I had the pleasures of trying out Perfectly Posh from Tammy who an Independent Consultant!! I received a sample bag filled with skincare goodies including body and lip scrubs, holiday scented lotions, and an unisex charcoal soap along with a personalized note from Tammy !! 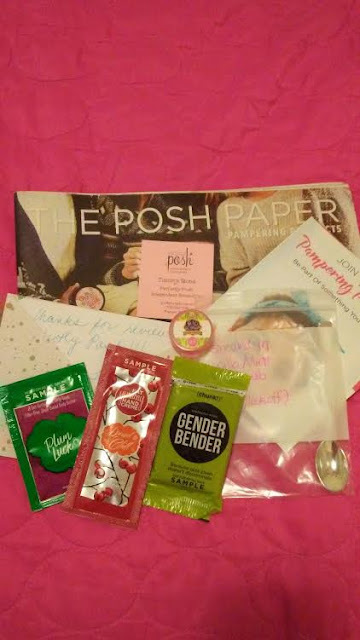 Read more below of this review and how you can get a hold of these Perfectly Posh products too!! I tried these Holiday scented lotions which includes Shea Butter on my dry skin after shower which last for over 8 hours of hydration esp on my elbows, knees, and my feet!! The scents were not over powering but were very light throughout the day! A week later I needed to really refresh myself from my head to my toes including showering and body scrub so I used my samples of Gender Bender, a charcoal soap bar, a Vanilla Mint Lip Scrub for exfoliating my dry lips, and Rio Rumba body scrub!! 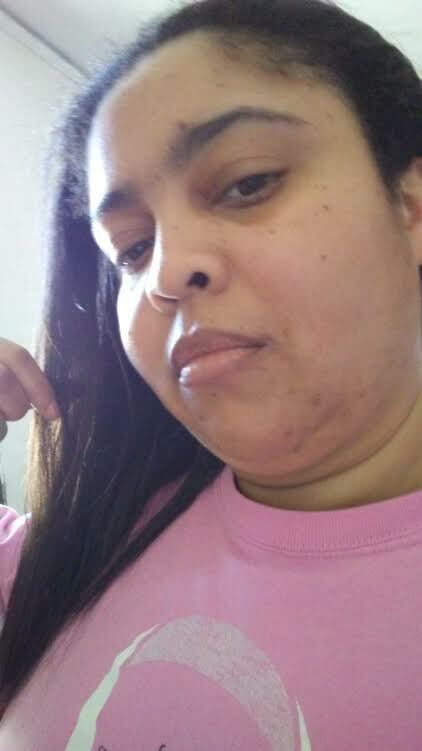 I felt moisturized and clean without harsh stripping or drying out thanks to ingredients like natural ingredients shea buttter, coconut oil, and other ingredients!! After relaxing shower "Me Time" using some of Perfectly Posh skincare products!! 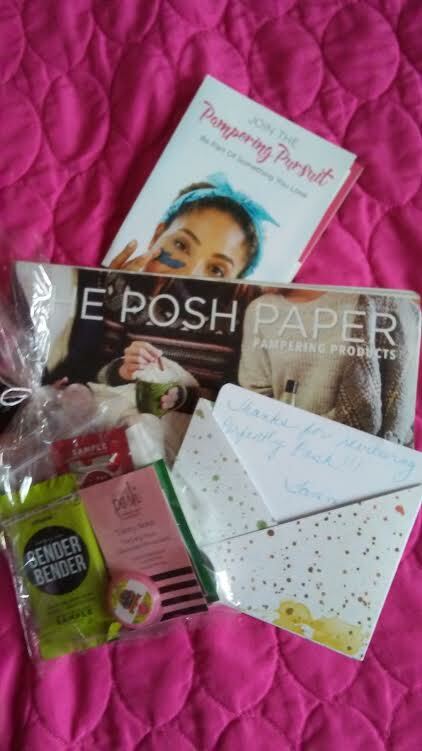 One of the best things about Perfectly Posh is the natural ingredients they used, its made in the USA so you are helping in job creation, all under $25.00 each, and you have the opportunity to make a career hosting Perfectly Posh parties and other perks!! 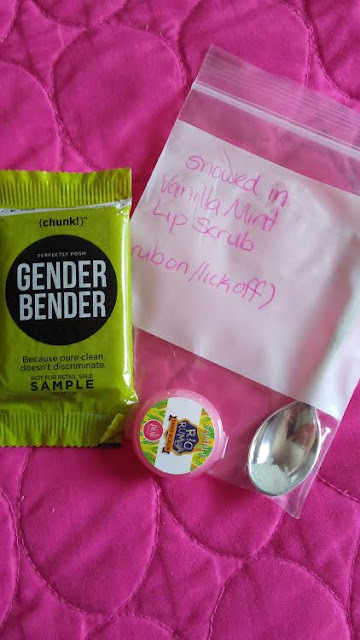 I personally loving the de-tox Gender Bender charcoal soap myself from Perfectly Posh and feel free to contact Tammy to get hold of these great skincare goodies as well below! 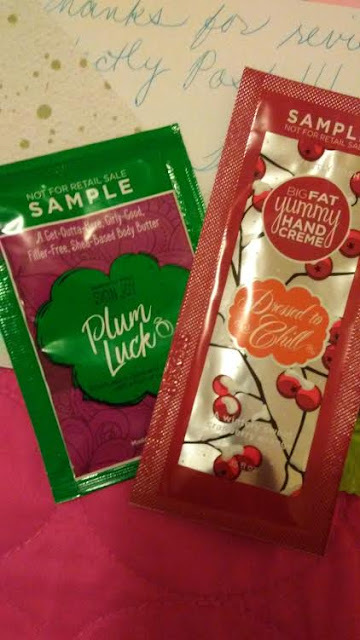 At just $25 i can say they are really affordable and i like the fact that they make their products using natural ingredients , thanks for the review dear,so sorry i'm catching up on you post so late ,i've been overwhelmed with with work. Hope you're having a great week so far.